Rehabilitation is a chiropractic service that treats a variety of needs. You may have been in a car accident and require auto injury rehabilitation. Sports injuries can be treated with rehabilitation, as well as surgery recovery. If you are considering chiropractic care at Kindred Chiropractic in Wicker Park, Chicago, IL check out these frequently asked questions. What Is Chiropractic Rehabilitation and How Can It Help Me? Rehabilitation is vital to getting your body back into full functionality following a serious injury or accident. Chiropractic rehabilitation involves rebalancing your bones, muscles, and tendons following a drastic change to your body. Whether you have been in an auto accident, injured playing sports, or stressed due to surgery, we can help you. Through chiropractic care, such as spinal adjustments via traditional chiropractic adjusting and physiotherapy exercises, we can aid in your recovery. If you have questions about chiropractic rehabilitation give us a call. We look forward to providing you with physical rehab as you recover from your injury, surgery, or accident. What Types of Rehabilitation Services Are Available in Wicker Park at Kindred Chiropractic? Here in Wicker Park at Kindred Chiropractic we offer a variety of services as part of rehabilitation. One of the most innovative, yet ancient, treatments is called Gua Sha. As a tried-and-true therapy, Gua Sha is translated from “scraping sha-bruises.” Through a scraping process, Dr. Kat Aleman rubs over your skin using a tool where you are experiencing pain and need treatment. This is a form of orthopedic soft tissue rehab. Other rehabilitation services offered at Kindred Chiropractic include low force adjustments for sensitive patients. If you are recovering from surgery, an accident, or sports injury this form of gentle chiropractic care can best benefit your body. 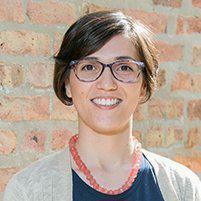 Dr. Kat Aleman also offers trigger point therapy and post-isometric muscle release technique for patients seeking rehabilitation services in Bucktown and Wicker Park. Why Should I Consider Kindred Chiropractic of Wicker Park for My Rehabilitation Needs? If you are looking for a holistic, medicine-free rehabilitation, then Kindred Chiropractic of Wicker Park is the ideal solution. Here at Kindred Chiropractic we provide you with therapies, both onsite and to do when you are at home. These therapies are geared at self-healing, which is the purpose of rehabilitation. In addition to helping you with your specific rehab needs, we also provide inclusive treatments that help you prevent additional injuries in the future.